We are always looking for new managers in new destinations. If you feel that your portfolio of vacation rentals, managerial experience and enthusiasm to care for guests is a cut above the rest, then please feel free to contact us. Pender Lea offer guests truly personalized service to ensure all your holiday wishes are brought to life. Whether you’re taking the kids for their first snow trip or your loved one for a chilled out romantic getaway, Pender Lea provides the ultimate backdrop. The property has been cleverly designed to offer the perfect mountain escape for all, and it really does do exactly that. That's pretty simple really. HMR Holidays is owned and run by a dedicated team of 4. Howard, Irene, Iain and Lucy. The nice thing about HMR Holidays is that we're family. Howard is the "old man/boss" and is married to Irene. They started the business over 8 years a go and have grown from strength to strength since that time. Almost 3 years a go they were joined by their son (that's me by the way) Iain and partner Lucy. We decided to leave the UK and start our new life in Moraira, assisting the running of the family business. We brought with us our 2 children Isabella and Oscar, although they're a little too young to start working for the business, you may get to see them around if you come and stay with us! 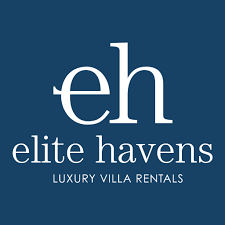 elite havens luxury villa rentals was established in 1998 and features a hand selected and personally inspected portfolio of more than 100 luxurious properties in Bali, Lombok, Phuket and Sri Lanka. The principles of consistency, personalized customer service, attention to detail and a secure booking process continue to add to their success. With a superb selection of large properties in Devon, Cornwall and Kent we pride ourselves on customer service and going the extra mile on every occassion. 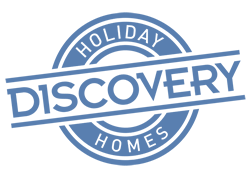 In the 20 years we have been managing and marketing holiday homes, we have seen so many changes, but none can replace the personal contact and local information. Specifically developed for the holiday rental market, the OVO Network is a marketing, booking and management solution that is used and trusted by a growing number of Property Owners and Letting Agents. They all have one thing in common - a desire to earn more from their rental business while having more time to live their lives. We run the most comprehensive holiday service on Lake Como, we live there, we work there, we contract the owners properties and have been doing this for almost ten years. With a superb range of villas across several of the famous lakes we provide accompanying services, such as chefs, boat hire, private tours and more.